I live in the countryside outside of Vancouver, where I work in the field of adult literacy and learning. I have a long commute and spend my time on the bus and train knitting, reading, and listening to music. As a result, I get a lot of knitting done and am always looking for the next project. Mittens, half-mitts and socks are my favourite items as they are so portable and make the best gifts. In addition to knitting, I have been spinning since Jan 2000 and love knitting an item from my own handspun yarns. 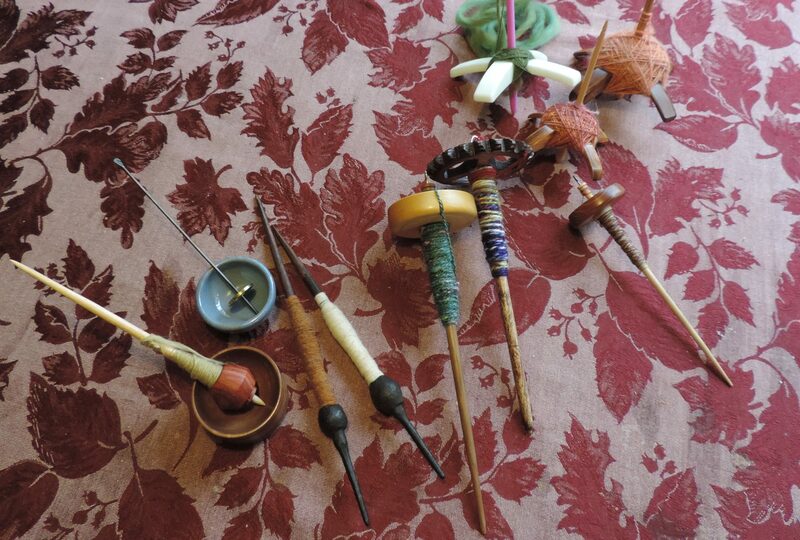 I love the drop spindle because spindles are beautiful and so very portable. Over the next while I will show you yarns and items that I have made with locally sourced wool, alpaca and llama. Hi Diana, had to look you up after seeing that you are an instructor at Fiberweek in Olds this year. I am a new spinner since fall ’15. By chance found out that Donna Rudd lives in nearby community, so I have bee taking lessons from her. She encouraged me to consider some classes at Olds this year. I find myself diving headfirst into this new creative art and because of my many years of throwing clay I have eye/hand control which has allowed me to pick this up quicker than normal, so I am told. My experience has taught me that learning from as many different instructors as possible is the best way to learn something new. Hope I am able to meet you this June. I have enjoyed reading some of your blogs, please add me to your mail out list.